Radiance Enhancing massage for your face. Smooth onto face and neck areas pressly lightly. Aqua, Glycerin, Ethylhexyl Salicylate, Butyl Methoxydibenzoylmethane, Niacinamide, Dimethicone, Titanium Dioxide, Mica, Isopropyl Palmitate, Octocrylene, Phenylbenzimidazole Sulfonic Acid, Citrus Nobilis, Tocopheryl Acetate, Panthenol, Polyethylene, Dimethiconol, C13-14 Isoparaffin, Cetearyl Glucoside, Polyacrylamide, Aluminum Starch Octenylsuccinate, Arachidyl Alcohol, Benzyl Alcohol, Cetearyl Alcohol, Cetyl Alcohol, Myristyl Alcohol, Stearyl Alcohol, Myristic Acid, Palmitic Acid, Stearic Acid, Sorbitan Stearate, PEG-100 Stearate, Laureth-7, Triethanolamine, Disodium EDTA, Phenoxyethanol, Ethylparaben, Methylparaben, Propylparaben, Tin Oxide, Parfum, Alpha-Isomethyl Ionone, Butylphenyl Methylpropional, Eugenol, Linalool. I wasn't expecting great results when I started using the latest Olay product. My usual daily moisturiser is from Clinique and I haven't found one yet to rival it. However, I was surprised that on the first day of using it, my friends noticed that my skin looked brighter. 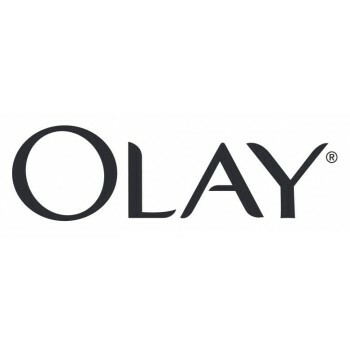 Olay encourage users to massage the cream over the face and neck areas and take some time in doing so. I stuck to my usual routine, but gave the cream a go. It's easily absorbed into the skin leaving it soft, smooth and silky. It's a very affordable option compared to other branded moisturisers. Given it's half the price of the Clinique brand I use, I am sticking with it for a while to see how I get on. The scent could have been stronger, but now I am really nit picking. Light, easily absorbed facial cream. 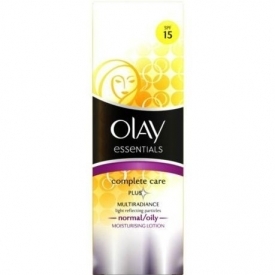 "I wasn't expecting great results when I started using the latest Olay product. My usual daily moisturiser is from Clinique and I haven't found one..."